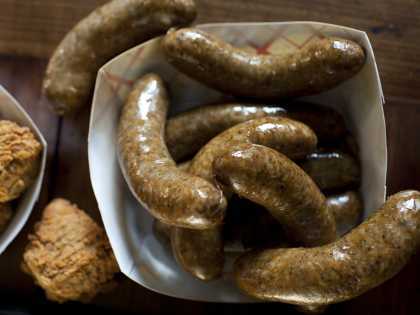 The Cajun Boudin Trail puts you in the driver’s seat when it comes to discovering Louisiana’s best boudin and other regional specialty items, be it a pork chop sandwich, beef jerky, cheesy boudin balls, specialty sausages, cracklin, smoked meats, plate lunches, stuffed chickens or chili dogs. 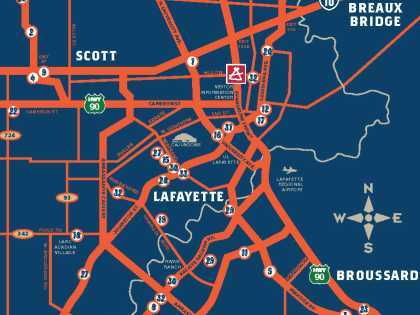 The area in and around Lafayette, LA is the indisputable center of all things boudin. 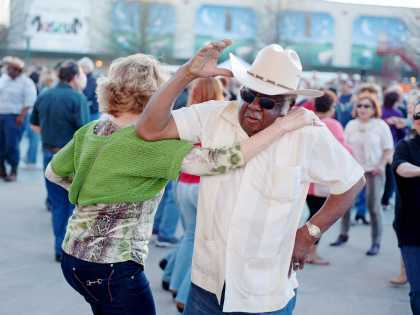 Lafayette, LA even holds the annual Boudin Cookoff in October, where the top boudiniers come together to show off their skills. As you venture through the area seeking to sample the many varieties and unique recipes, the award-winning boudin masters of Cajun Country are happy to present you with the fruits of their culinary prowess. 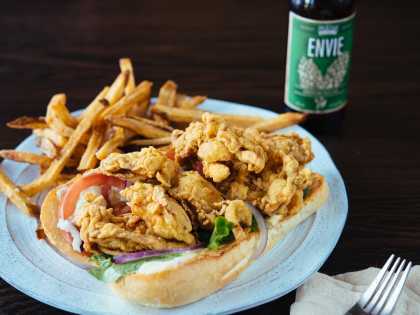 Of course, folks in Cajun Country don’t just hang their hats on boudin, and you should eagerly sample some of the other traditional and creative regional foods they’re baking, smoking, frying, or pouring. After all, when you head a little off the beaten path in search of authentic food, there’s no reason to stop for just one item. Great question! Boudin is one of the most unique, tasty and distinctly uncorrupted regional specialties in America. Basically, boudin is a combination of cooked rice, pork, onions, green peppers and seasonings. The mixture is pulverized (to some degree) in a meat grinder before being stuffed into a sausage casing. It is then steamed—or otherwise heated—for on-the-spot snacking. Ahh, but these are truly just the basics. Folks around here are passionate about their boudin and each recipe is a variation on the foundational ingredients. The devotion to boudin results in innumerable other uses, recipe tweaks or preparations for the meat and rice mixture. Boudin balls, smoked boudin or seafood are just a few of the variations you’re likely to find. Boudin: You say “Boodin” or “Bowdin,” We say “Boodan” – We know the pronunciation is a bit awkward. Ask for a “Link” – If you’re having trouble with the pronunciation, just ask for a “Link.” Most locals use that colloquial term. Homemade Is Best – There are some decent commercial brands of boudin available at chain grocery stores, but the best is always homemade. Our meat shops, butcher blocks, lunch places, and independent grocers are the places where you can find the good stuff. When in doubt, ask if they make it themselves. Take it Home – Don’t hesitate to bring some boudin back home with you. Whether you’re making a short drive or a long flight, frozen boudin travels well and will be ready to be re-heated. Many of the places in this guide sell frozen packs of boudin along with little coolers to help you get their boudin home. Steam it, Simmer it, Grill it, Oven it – If you’ve got some cold boudin you can steam it, simmer it, grill it, or throw it in the oven or the microwave. Just remember you only need to heat it through; it is already cooked. www.cajunboudintrail.com is the companion website to this guide. It offers more in-depth suggestions on sampling the specialties found on and beyond the boudin trail. You’ll find more photos of the places and foods, recipes from the highlighted businesses, detailed mapping of the locations in the guide, and more. www.boudinlink.com – This brochure was created by the folks behind this website, which provides a comprehensive guide to boudin of Louisiana and beyond. 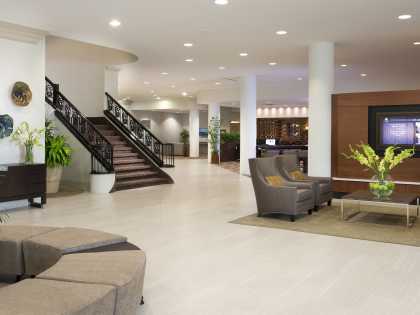 You can find reviews, suggestions and a map to each of the listed locations and more. There are over 130 individual reviews. www.boudincookoff.com – Each October the top boudin makers from across the region show up in Lafayette, LA at a Boudin Cook-off. This event provides a unique and fun opportunity to sample boudin from up to 25 different places. You can find information about past and future boudin cookoffs at the web page and make plans to attend.